a pared-back design makes this sleek and slim collection as light as the feathers on a blackbird’s wings. the naturally light and creamy tones of sustainably sourced solid European oak wood are beautifully contrasted against stark, jet black stained oak panels to striking effect. 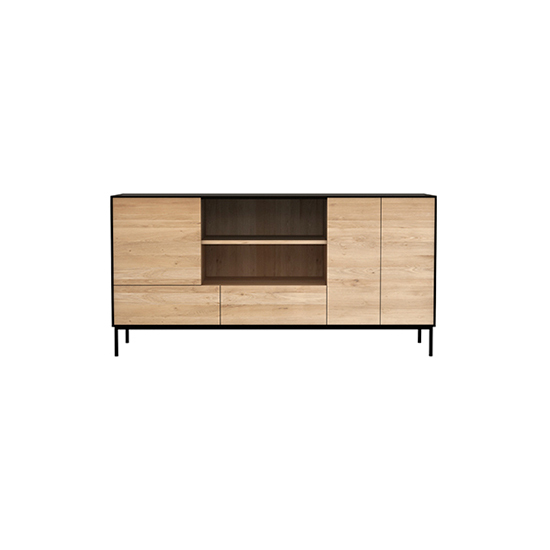 our sideboard with three doors, two drawers and two shelves features a spacious surface top to display your favourite finishing touches, along with compartments underneath to keep your tableware and homeware neatly organised. other sizes and configurations are available to help you find the piece that perfectly fits your space. love this piece but not sure about the contrasting colours? then our sister collection whitebird is for you! 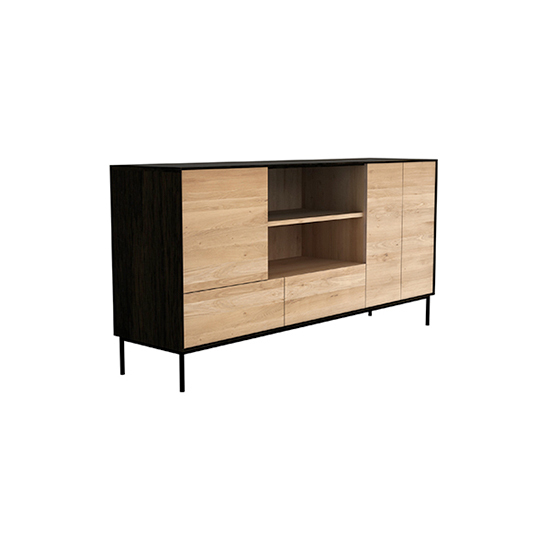 blackbird sideboard with 3 doors, 2 drawers, 2 shelves was added to your cart!